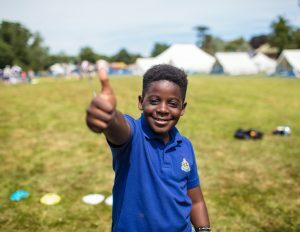 As The Boys' Brigade marks 135 years of its work with children and young people across the world, Brigade Secretary and CEO Bill Stevenson reflects on the importance of the organisation's work with young people. At 8pm on Thursday 4th October 1883 twenty eight boys arrived at the North Woodside Mission Hall in Glasgow – The Boys’ Brigade (BB) was born - ever since then, countless numbers of BB members have met on a weekly basis, taking part in a wide variety of activities and have learned skills that have helped develop them for life. Our founder Sir William Alexander Smith has been widely acclaimed as being one of the key pioneers of youth work and we are rightly proud of our rich heritage. In an increasing secular age the Brigade has remained constant to its Christian roots and often the BB is the only way that many young people connect with their local church. Although the programmes have changed many times over the past 135 years, the organisation is still supporting young people to grow, develop and, most importantly, learn about the Christian Faith. Our values and our object remain the same. We work with over 1300 churches and aim to partner them to build sustainable Christian youth and children’s work in their community. Although the challenges and opportunities facing young people today are often quite different from those of the Victorian era, our vision and structures continue to support young people to develop key life skills and help them live life to the full. The Brigade is indebted to the countless volunteers who give us so much of their time to help make this all possible. In the UK and Republic of Ireland thousands of young people benefit from their care and compassion. Our volunteer leaders, both young and old, provide positive role models for our members. We believe in the benefits of BB membership and are convinced that it really is a life changing experience for young people and leaders. We want to see more young people and volunteers benefit from the BB adventure. So as we celebrate this important anniversary, let us pause to give thanks to our Founder and the thousands of leaders who have helped deliver his vision which continues to shape the lives of young people here and right round the world.